Mr Jelly said: "I am surprised and disappointed at having been served notice by the West Mercia Police and Crime Commissioner [John Campion] and Chief Constable [Anthony Bangham] terminating our strategic alliance arrangements. "This is clearly a decision which has been taken solely by West Mercia's PCC and Chief Constable and one which myself and the Warwickshire PCC do not support. "Our two forces entered into a strategic alliance in 2012 which has been recognised nationally for the extensive nature of its collaboration and has demonstrated significant benefits from shared working. "In fact, it has allowed both forces to save more than £35 million and maximise resources to frontline policing. "Despite this announcement we are committed to ensuring the day-to-day operational focus of Warwickshire Police continues to be on protecting the public from harm and keeping our communities safe." Warwickshire Police and Crime Commissioner Philip Seccombe said: "Since I took office in May 2016, I have been strongly supportive of the alliance between Warwickshire Police and West Mercia Police, which has delivered considerable savings and operational benefits for both forces, receiving national acclaim in the process. "I am very surprised therefore by the decision by the West Mercia PCC and Chief Constable to end the strategic collaboration between the two forces. This is a hugely disappointing development which I do not support. "The implications of this decision are significant and I will be working with Chief Constable Martin Jelley to minimise any impact on our communities, partners and workforce. I want to assure the public that throughout this period, Martin and I are determined to ensure that Warwickshire Police continues to deliver a high-quality service to our public." 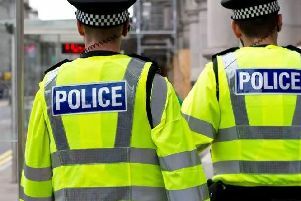 West Mercia Police have said that "the decision has been made to deliver more effective and efficient services to communities, and ensure the public get better value for money. "A formal process has now started to bring the existing strategic alliance to an end on October 8, 2019. "This will include negotiations with Warwickshire Police to identify where efficiencies may remain and be maximised through a different shared service arrangement. West Mercia's Police and Crime Commisioner John Campion said: "This has been a carefully considered decision with communities in mind, and both the Chief Constable and I, are in agreement that this approach will enhance and improve the service moving forward. "How exactly this will look will be shaped over the next year, and this will be worked in detail, with our communities and workforce at the forefront of any decisions." The force's Chief Constable Anthony Bangham said: "This is a positive start for a new chapter for West Mercia Police, opening up opportunities to deliver more efficient and effective policing services and providing the very best protection to our communities, with a greater focus and clarity at a local level. "Whilst officers will respond as they always have, local policing will be enhanced, by improved supporting services. Work is underway to shape this, refocusing where collaborative arrangements are currently in place. "The planning of this will now commence at pace, with immediate effect and we will continue ensure our workforce and key partners remain informed throughout this process."